Our most durable Ferrosi jacket, built for the alpine. Our most ruggedly built Ferrosi piece rounds out this collection by offering an alpine focused style that can really take a beating. Using Cordura fabric in the main body, this hooded jacket provides additional abrasion-resistance while shrugging off wind and light rain. The Halo Hood seals out bad weather without limiting peripheral vision. 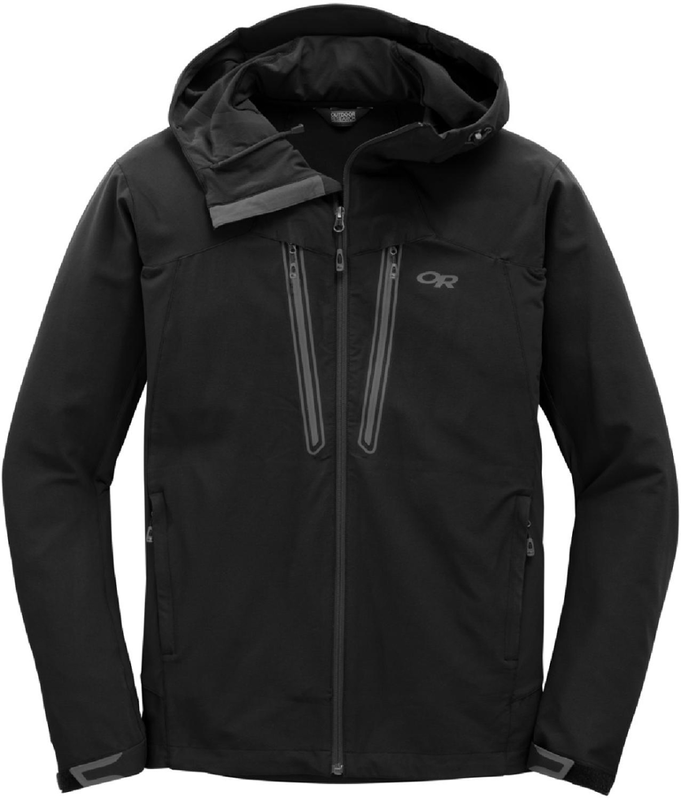 The ruggedly-built, alpine-focused Outdoor Research Ferrosi Summit hooded jacket can really take a beating. It provides abrasion resistance while shrugging off wind and light rain. 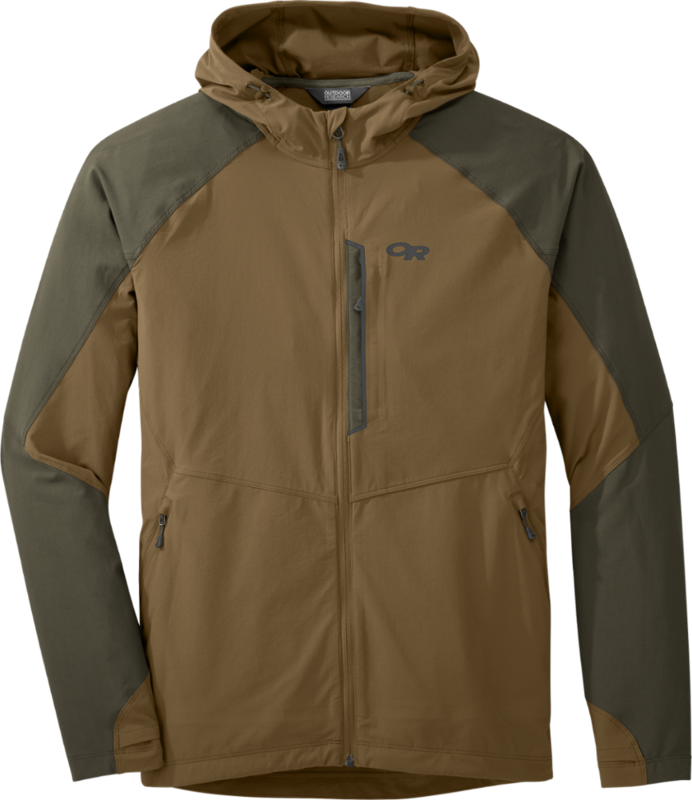 Rugged alpine ascents call for the equally rugged Men's Ferrosi Summit Hooded Softshell Jacket by Outdoor Research. 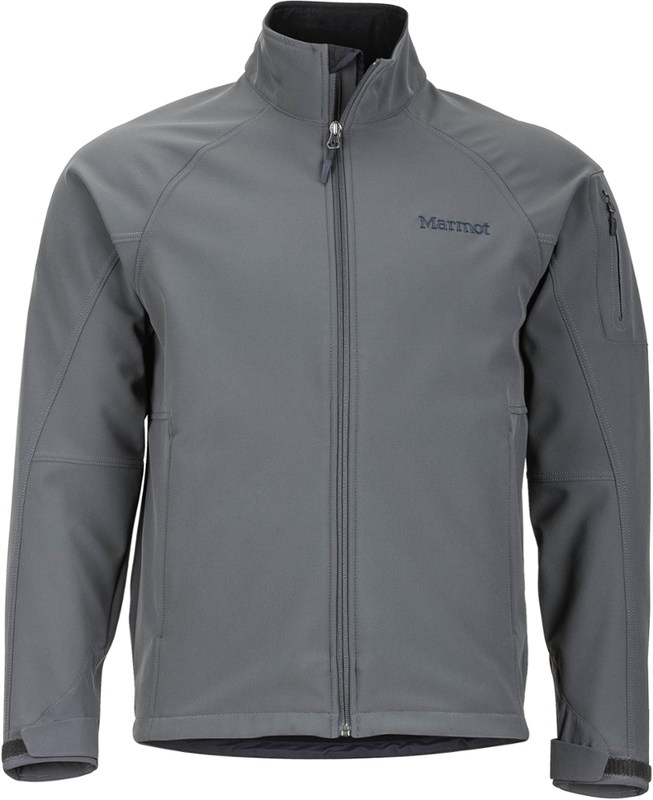 OR constructed this softshell out of a highly abrasion-resistant Cordura with stretchy spandex woven throughout. 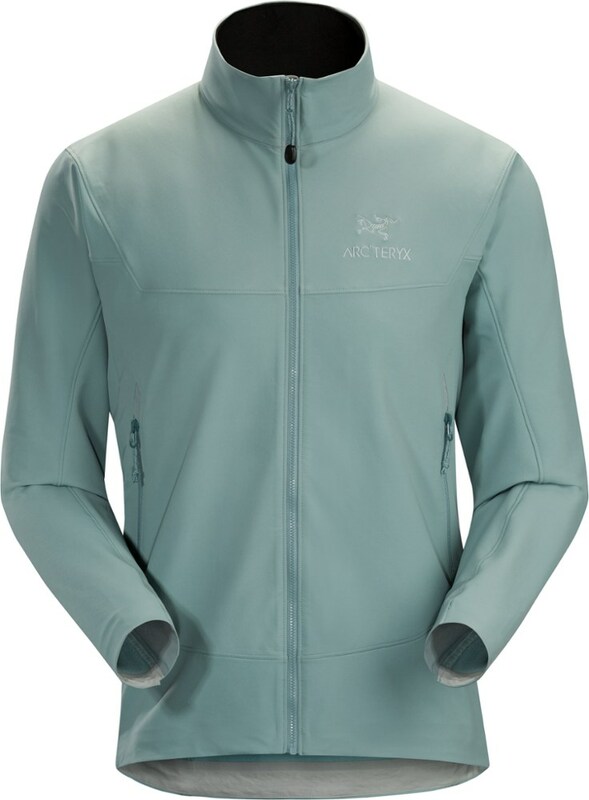 There are stretchier panels at the underarms and hood to enhance mobility for hiking and climbing. 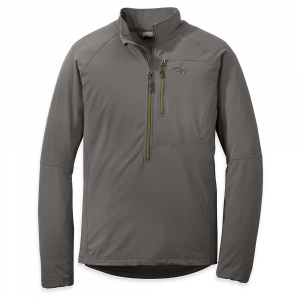 This softshell sheds light rainfall to keep you dry in the alpine's ever-changing weather. The Ferrosi Summit also features Outdoor Research's helmet-compatible Halo Hood with adjustments, cord locks, and a wire brim that stays out of sight while belaying. There are hook-and-loop adjustments at each cuff, and the zippered hand pockets are always accessible, even with a harness or backpack on. 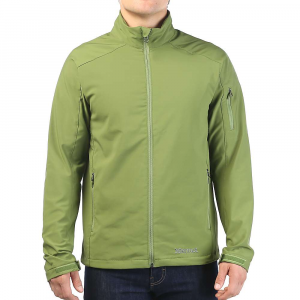 Outdoor Research Ferrosi Summit Hooded Jacket - Men's-Night/Lemongrass-Small. Using Cordura fabric in the main body this hooded jacket provides additional abrasion resistance while shrugging off wind and light rain. The halo hood seals out bad weather without limiting peripheral vision. 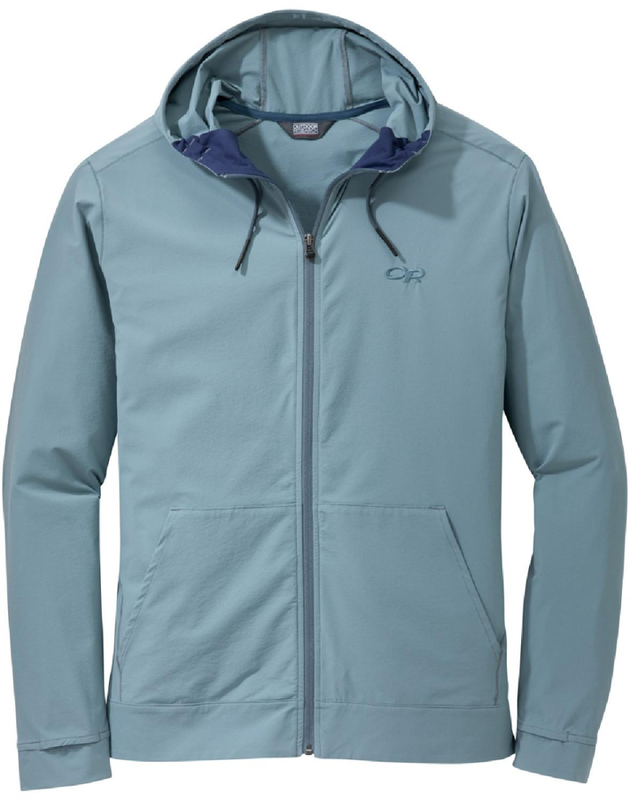 Ferrosi Summit Hooded jacket by Outdoor Research is made from soft shell construction with plenty of stretch for movement and abrasion-resistant protection for those demanding alpine settings. So when you're 4 pitches up, the windchill drops and you start wondering how to stay warm, pull out the Ferrosi and forget about it.